** This is a sponsored post and contains affiliate links. If you decide to make a purchase, I will receive a small commission after you have clicked on my link. It is time. You know that you need to take the kids into the optometrist, but you keep putting it off. As if it were not bad enough that you have a big home remodel project around the corner, those darn glasses frames are going to set you back hundreds, perhaps even more than a thousand dollars. But you know that your kids are a top priority and you need to make sure that you treat their eyes properly if you want them to succeed in school – otherwise you are going to be looking at a few more home remodeling projects to add on bedrooms for their long term stay past 18 years old! If you want to set your kids up for success, you need to make sure their eyes are well taken care of. Many parents do not realize it, but a big reason many children have a tough time in elementary school is because of undiagnosed eyesight issues. To ensure that your children not only get treated properly at the optometrist, but stick with their treatment plan, you need to look into using contacts over glasses. Not only will contacts be a lot “cooler” at school, and have a much higher likelihood of staying in your kids’ eyes all day long than glasses do of staying on their face, but contacts also save money for you. If you take advantage of the amazing deals through 1-800-Contacts’ new Groupon Coupons page, you can score on huge deals such as $30 off plus free shipping, $10 off of your order, $20 off, a 10% discount, and many more! Making sure that your family stays under budget, while doing its best to take care of your kids’ needs is a tough job. You have to balance several conflicting demands all of the time. But if you take advantage of the Groupon Coupons offered at 1-800-Contacts’ new page, you will be able to make sure that all of your kids at least are able to see properly and have a fair shot at all of the opportunities presented to them down the road. Plus, you will be able to stay under budget and keep a little money leftover for that upcoming home remodel project. 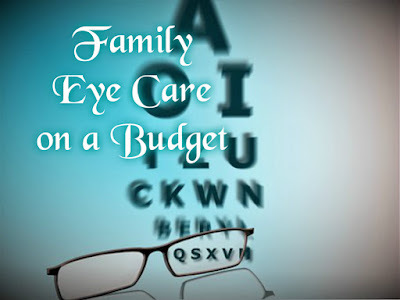 How do you take of your family's eye care on a budget? I have worn contacts a couple of times when I go out. I still prefer wearing glasses especially when I am doing a lot of online work. That's a really informative post! Groupon really does come up with some amazing bargains. Groupon is very helpful for coupons. But I have insurance cover most of my eye related expenses. We believe in dealing with a situation before it becomes a problem. I get my kids to do some simple eye exercises so that their eye sight is strong. They are suppose to take breaks from TV, computer and reading etc also. I can't live without my glasses, which is why I make sure that I teach my kids the importance of taking good care of your eye sight. I don't want them to go through the struggle of having blurred vision and all that. Thankfully, my husbands work provides an excellent eye plan. It is really important to take good care of the eyes. We need to get eye checks, too. My mom recently got readers, so we will all be getting exams soon. This is the first time that I heard about and this and such good Plan for us I think.